According to a recent survey, 18 percent of U.S. citizens believe that the sun revolves around the earth. And, another survey suggests that 30 percent believe in the literal “truth” of the bible and 40 percent believe in intelligent design. The surveys, apparently, were of functioning adults. 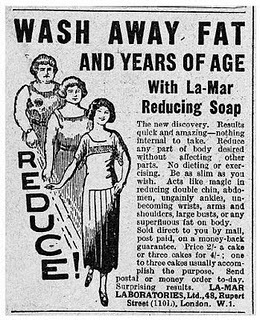 I have to suspect that a similar number of adults believe in the fat reducing power of soap. A number of vociferous advocates of creationism-as-science have recently taken to the airwaves to demand equal time — believing their (pseudo)-scientific views should stand on a par with real science. My hat off to Mr.Tyson. Rather than engaging in lengthy debate over nonsense his curt reply is very apt: it is time for believers — in the scientific method — to just move on, and move ahead. We Americans pride ourselves on our ideals of free speech. We believe in spirited back-and-forth and the notion that we are all entitled to our opinions. We stack our media coverage of news events with “opposing views.” These ideals are deeply rooted in our cultural character. And they’re making us stupid. Ever since it debuted earlier this month, Neil deGrasse Tyson’s blockbuster, multi-network reboot of “Cosmos” has been ruffling feathers with its crazy, brazen tactic of putting scientific facts forward as the truth. It’s infuriated religious conservatives by furthering “the Scientific Martyr Myth of Giordano Bruno” within its “glossy multi-million-dollar piece of agitprop for scientific materialism.” And this weekend, creationist astronomer and Answers in Genesis bigwig Danny Faulkner complained about “Cosmos” on “The Janet Mefferd Show” that “Creationists aren’t even on the radar screen; they wouldn’t even consider us plausible at all” and that “Consideration of creation is definitely not up for discussion,” leading Mefferd to suggest equal time for the opposing views. But on “Late Night With Seth Meyers” last week, Neil deGrasse Tyson shrugged off the naysayers, noting, “If you don’t know science in the 21st century, just move back to the cave, because that’s where we’re going to leave you as we move forward.” This is why he’s a treasure — he has proven himself a consistent and elegant beacon of how to respond to extremists and crazy talk – by acknowledging it but not wasting breath arguing it. We can go round and round in endless circles about social and philosophical issues. We can debate all day about matters of faith and religion, if you’re up for it. But well-established scientific principles don’t lend themselves well to conversations in which I say something based on hard physical evidence and carefully analyzed data, and then you shoot back with a bunch of spurious nonsense. Image courtesy of La-Mar Laboratories.